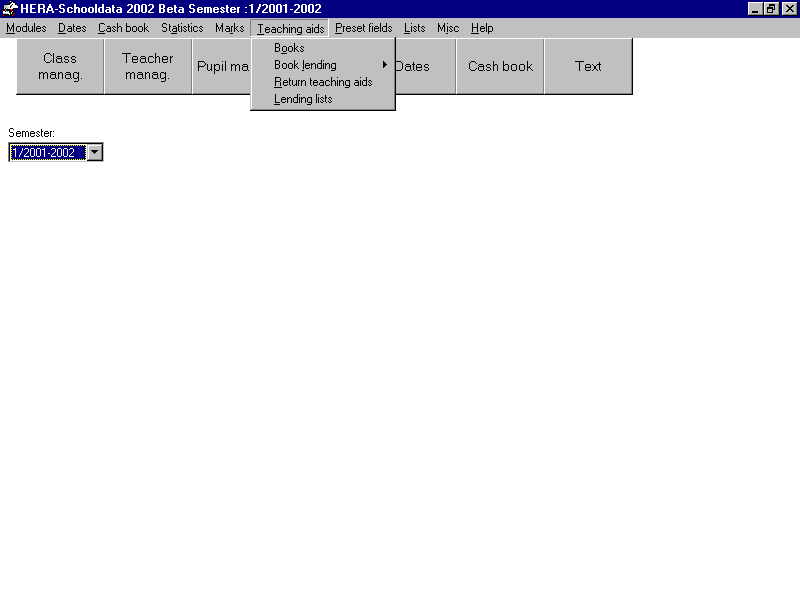 This is the main menu of teaching aids. For a description of the buttons please scroll down. : It will open a menu for lending of books by single lending and mass lending.